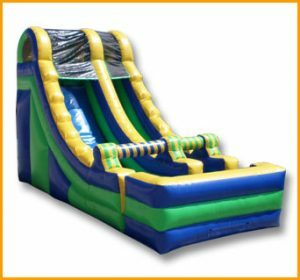 This inflatable 20′ front load single lane slide is manufactured with high quality materials and child safety as priorities. 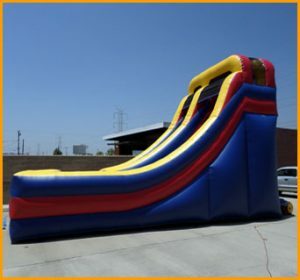 This inflatable 20′ front load single lane slide is manufactured with high quality materials and child safety as priorities. 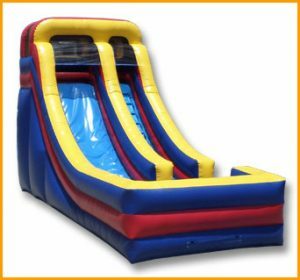 Red, yellow and blue are the colors used throughout the slide making it perfect for all kinds of party themes and events. 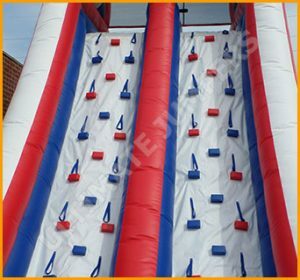 The colors can also be customized at no extra charge to better fit your specific needs. 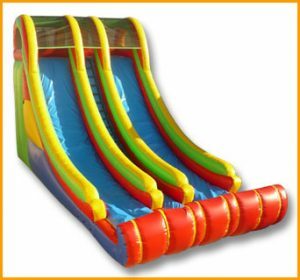 This inflatable slide can be set up indoors and outdoors, for any event type. 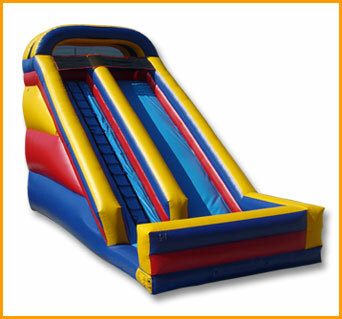 This unit also comes with a warranty and everything you’ll need for set up and use. 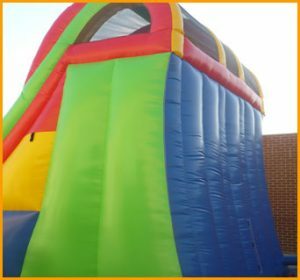 *The weight of the inflatable is approximate. For Set up and Take-down instructions please click here. 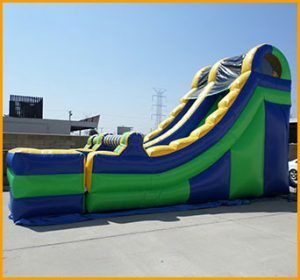 If you have any questions regarding this product feel free to call us at (800) 219-9211 or fill in the forms below. 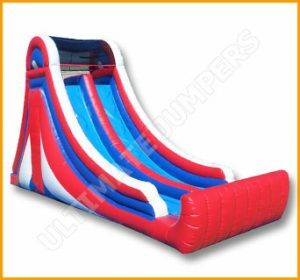 Copyright © 2007 - 2019 Ultimate Jumpers, Inc. All Rights Reserved.